As a youth growing up towards the end of the great depression and during WW II, it was a treat to be able to go out for a ride in a car. After my father was hospitalized, we did not have a car, so an opportunity to go for a ride through the beautiful southern New York countryside was eagerly sought after. This part of the state is dotted with small villages and dairy farms – no big industry or large population centers located here. It was on one of these rides that my mother told me about the white horse. She said that if you make a wish when you see a white horse and do not tell anyone that you did it, it will come true. Horses were a common sight on the farms, but a white horse was a rarity. During my freshman year at Union College, I saw a white horse and made a wish. (No, I will not tell you because it has yet to come true). Union College, part of Union University, is located in Schenectady, NY. It was established in 1795 and has an outstanding reputation for its liberal arts, engineering and science curriculum. All my courses and labs were taught by full professors in small classes; we did not have teaching assistants I majored in biology, which put me in with the pre-med “my son the doctor” boys who were Jewish from Long Island. My freshman roommate was Arty Cohen from New Jersey, who was the son of a doctor and an aficionado of dried up salami which he kept in his desk drawer. 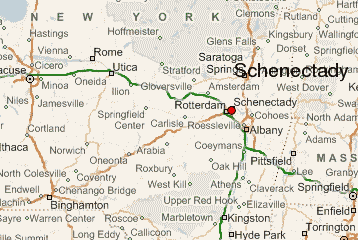 I lived in Oneonta, which is a small city 70 miles from Schenectady. To save money, I would often hitch hike from there to college. In that bygone era, hitchhiking was not a dangerous thing to do, and it was fairly easy to get a ride. No telling in what or with who you might be riding: Old farm trucks, Harley motorcycles or a Cadillac driven by perhaps an old farmer, a soldier on leave or a funny guy on the lookout for a nice young lad. Just hop in (or on) and go. I never had a problem. The highway was old Route 7, derided by the locals as the last Indian trail in the state. It wove in and out of Schenevus, Worcester, Richmondville, Cobleskill, Duanesburg and on to Schenectady, the hometown of General Electric. I did a lot of walking between rides and got to know all the land marks along the route. So much so that many, many years later when I took my daughter for a college interview, I drove the road in a snow storm and remembered every curve. On one trip to Union, I was let off in Duanesburg at the junction of Route 20 and Route 7. Route 20 was the main road from Buffalo and Syracuse to Albany (the state capitol), while Route 7 went from Binghamton to Schenectady. It was there that I saw it: a fantastic car like none that I had ever seen before. It was coming down Route 20 headed for Albany and was stopped at the light. As it accelerated rapidly away from the light, it made a sound that I had never heard an engine make. It has been described by others as the sound of ripping canvas. 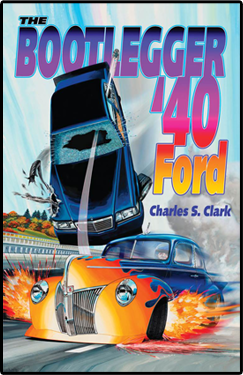 A high pitched sound of a small displacement overhead cam engine turning high RPMs as its Weber carbs sucked in the air. I watched it with longing eyes as it disappeared down the road towards Albany. 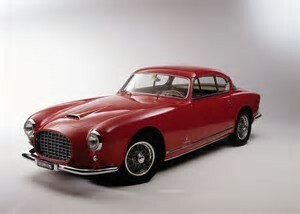 It was an early model Ferrari coupe. Talk about love at first site! 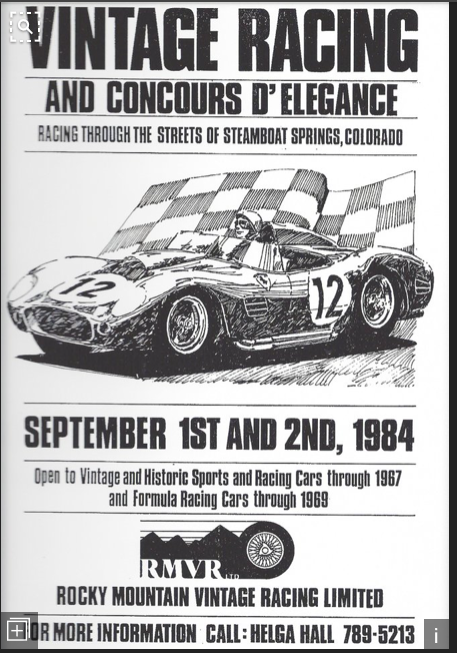 Back in the day when they ran vintage car races in Steamboat Springs, CO I ended up being chief judge at the concours d ‘elegance (i.e. “car show”) that was held on the lawn and streets in front of the Rout County courthouse in downtown Steamboat. It was a fantastic time to be involved with both foreign and domestic vintage racing and “classic” cars. The old car market had not yet got out of hand, and it was possible to own and to restore cars just so you could drive the snot out of them. One of the special features of the weekend that was led by the police blasting full sirens was the late afternoon arrival of the post practice race cars thundering down US 40 from the race track, which was part of the ski area road system. I joined the fast parade in my 67 Vette roadster with the 365 hp FI engine. It kept pace with the race cars. It was there that I made contact with one of the racers who had a 250 GT Ferrari coupe for sale for $14K. I inspected it and saw that it lacked a rear bumper and had a faded interior, so I passed on it. Bill Markel owned a shop and showroom on South Broadway in Denver that was dedicated to early Corvettes and some foreign sports cars. I used to drop in and snoop around. 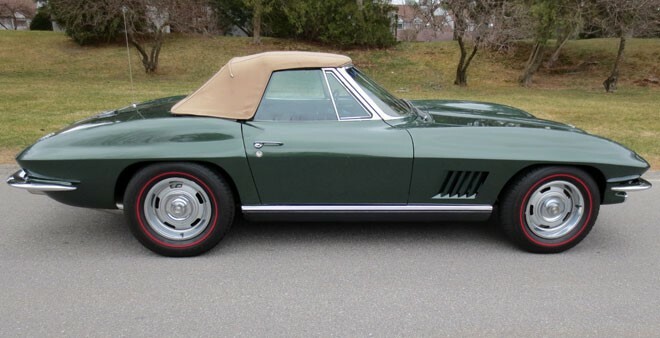 I thought maybe I could pick up a mid-year Corvette that was not a restoration candidate and make a vintage race car. He had a 67 roadster that looked promising until I inspected it closely and saw that even though it was a “plastic fantastic” car its fastening points and frame were rusted beyond repair. You tell someone that you saw a rusted out 67 Corvette and they might think you were nuts. 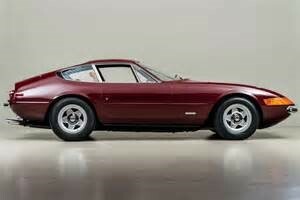 I also looked at a Ferrari Daytona that he had on the lot. He wanted $15K for it. A little high priced, but a very nice car. I had kids in school and other financial obligations at the time, so I had to pass on it as well. Driving west on I-70 across Ohio on a business trip with my wife Sara we made a special stop in Dayton to visit the air force museum. As a former USAF A&E maintenance officer, I had flown in a lot of different airplanes including a lot of the old prop jobs and have been a lifelong lover of airplanes since making models as a boy. To see so many restored aircraft from all eras was a really big treat for me. 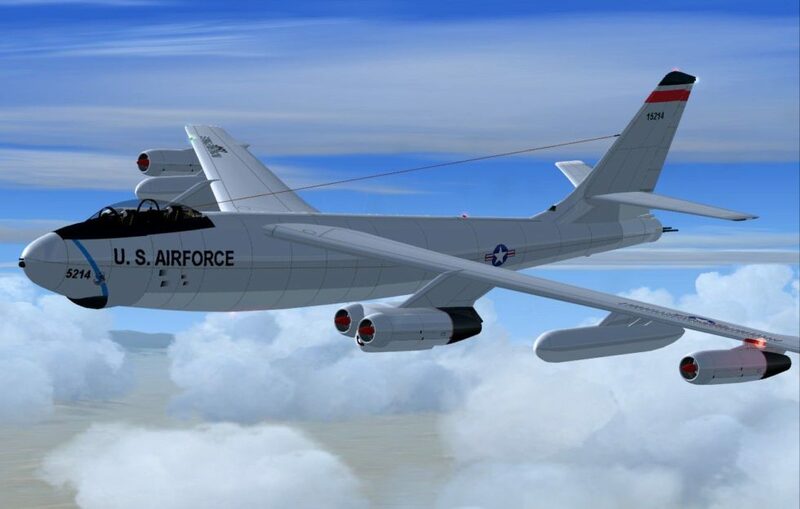 I bought a nice professional model of the B47 bomber and KC97 refueling tanker, both of which I knew very well from working on and flying in them. In the motel that night I was scanning the local paper where I saw an ad for a 60s Ferrari coupe for sale. I called the owner and made an appointment for a test drive. It was a white car with a recent repaint. He had documentation that showed that it belonged originally to a Hollywood luminary. That did not impress me, but the car ran well and I liked it. He wanted $30K for it. On closer inspection, I noted a fairly large crack in the paint in the area of the cowl. Paint cracks like that mean only one thing: excessive use of bondo body filler to cover up shoddy body work. I passed on the car. Driving my 67 Vette roadster down one of the side streets in my subdivision, I noticed an old Ferrari coupe parked in the driveway. I had to stop and talk with the owner. The car looked a little worn but it was presentable. He admired my Vette and wanted to talk about a trade. I drove the Ferrari and immediately felt the difference. The Corvette was a sprint car with extremely fast acceleration. You put it in second gear, stepped on it, and you MOVED. The Ferrari did not move like that. It accelerated but at a more leisurely pace. What I felt was the buttoned down nature of the ride. The Vette could get a little wild on bumps and curves, and the Ferrari was just kind of glued to the road. Nice car but the Vette was my cup of tea, so no deal. Let’s get back to the white horses and the wish. I will never tell what the wish Is unless it comes true, but I have given you some hints. 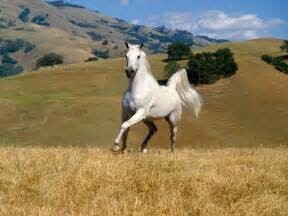 I still renew my wish whenever I see a white horse. I know that if you have read this far that the next time you see a white horse, you will think about making a wish. Such is the power of writing. Go ahead and do it. We all deserve a secret place in our life that we share with no one. Let’s see if you can keep your wish secret for 65 years.